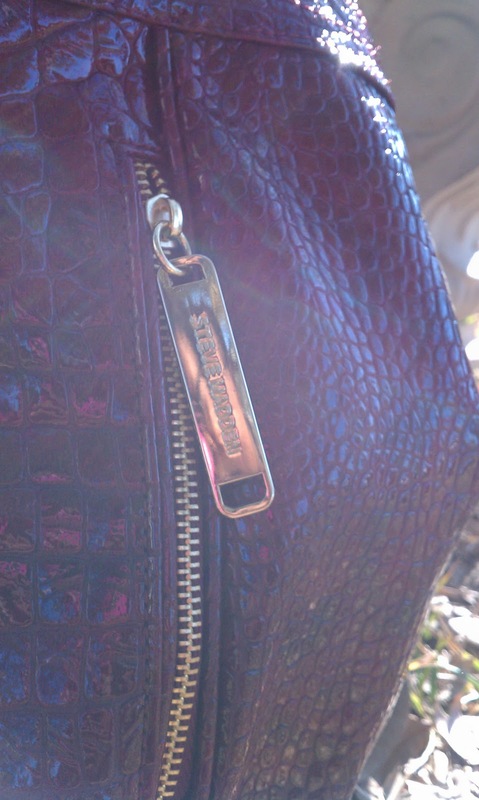 More Steve Madden love! When I was getting this same bag in the cognac color I did eye the maroon one but I decided to play it safe with the cognac color. 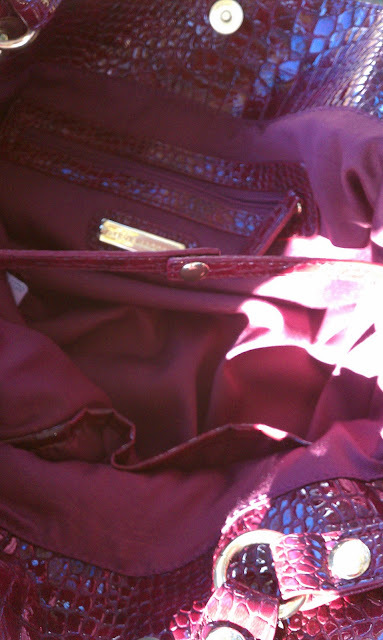 But about a week later I started to think of the maroon colored one and how it would make a awesome holiday season bag!...sooo I made my way back to Macy's and picked up the maroon one (so happy I did!) The bag is the exact same as the cognac one featuring the same gold hardware, croc-embossed patent leather material, two vertical zip pockets with the Steve Madden logo on the pulley, double handles, snap closure, a zip pocket and two open pockets in the interior of the bag. 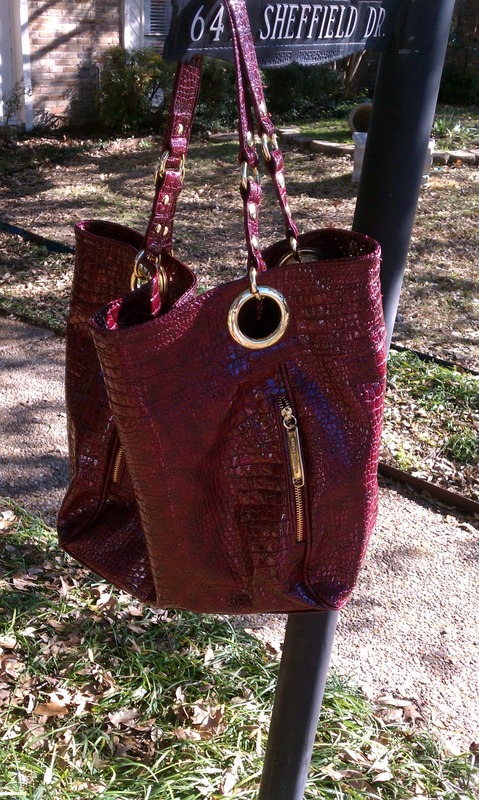 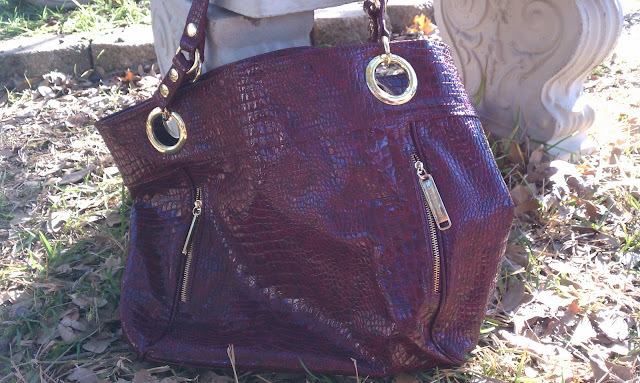 I really love this bag I can carry so much in it plus the color adds a little pazazz to any outfit I wear.